This is how Fiona Sampson, the editor of Poetry Review, opens her editorial in the winter 2010 issue that has just come out. 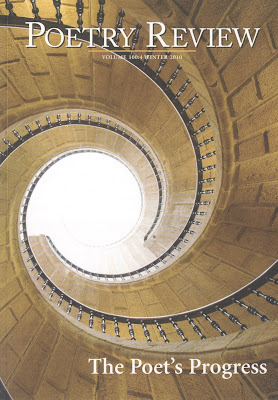 Domingo de Andrade’s spiral staircase in the Galician People’s Museum in Santiago graces the front cover of the magazine, and that is because the magazine is accompanied by a supplement of contemporary Galician poets. 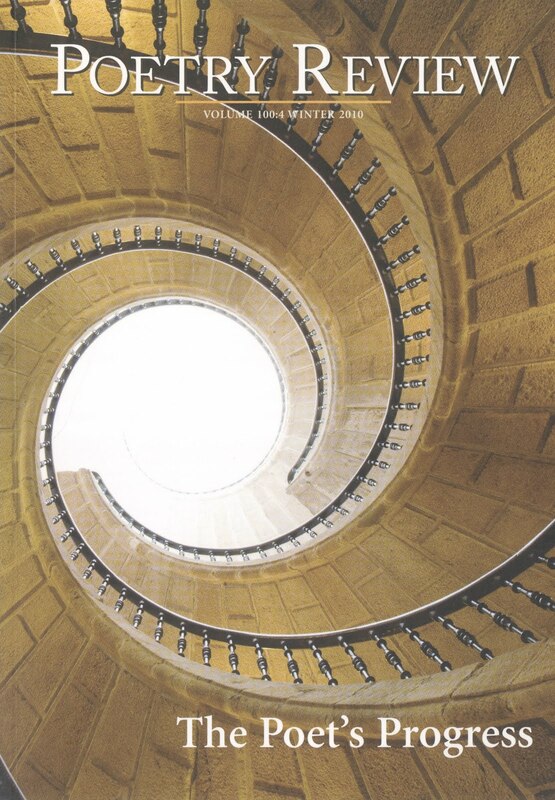 Thirty-nine poems by nineteen poets introduce the reader of Poetry Review to Galician poetry being written today. 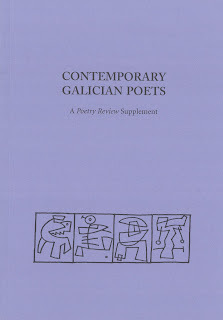 The poets included are: Xosé María Álvarez Cáccamo, Manuel Álvarez Torneiro, Yolanda Castaño, María do Cebreiro, Miguel Anxo Fernán Vello, Luís González Tosar, Bernardino Graña, Xulio López Valcárcel, Xosé Luís Méndez Ferrín, Olga Novo, Pilar Pallarés, Chus Pato, Alfonso Pexegueiro, Luz Pozo Garza, Manuel Rivas, Xavier Rodríguez Baixeras, Claudio Rodríguez Fer, Xavier Seoane and Xohana Torres. The selection and translation of the poems is by Jonathan Dunne. 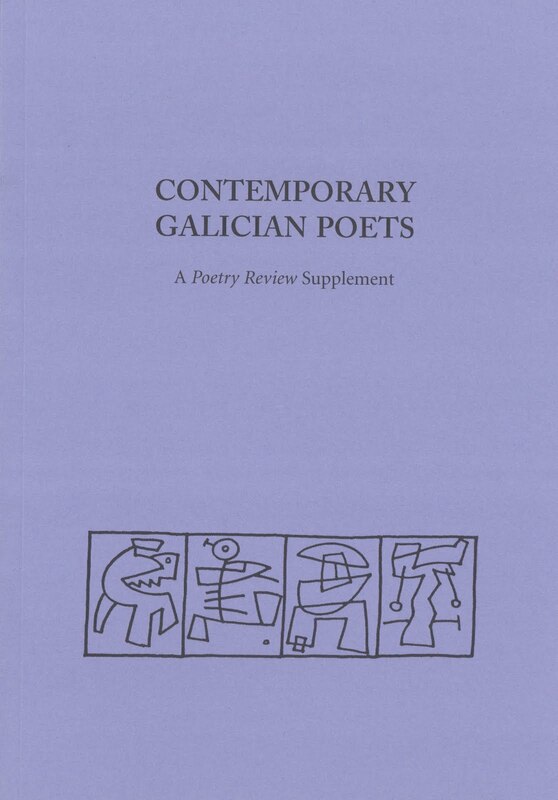 With an immediate distribution of 4000 copies to the members of the UK Poetry Society, this supplement, the cover of which is decorated with a drawing by Chelín, is one of the most important publications of Galician literature in translation, surpassed in English only by the fiction of Manuel Rivas. The magazine is available for purchase here at a cost of £9 (£11.50 if shipped outside the UK). The supplement itself is available for free download here. Jonathan Dunne is a literary translator based in Sofia, Bulgaria. His work has been nominated for major literary prizes such as the Independent Foreign Fiction Prize and the Warwick Prize for Writing. He translates from Bulgarian, Catalan, Galician and Spanish, authors including Tsvetanka Elenkova, Manuel Rivas and Enrique Vila-Matas. He has written a study of word connections in English, The DNA of the English Language, and a follow-up book about translation and coincidence, The Life of a Translator, believing that you only truly understand your own language when you have learned to speak another. He co-directs the publishing house Small Stations Press.